Aaron M. Spencer II was born on October 30, 1999 to Aaron & Marcia Spencer. He has two sisters, Dr. Michelle Spencer and Monica Spencer . He attends the Bermuda Institute and is in the 11th grade. Aaron enjoys life, and he loves to play – football, cricket, and studies Jujitsu, and is a Brown belt. He loves playing football , and he has represented Bermuda with the U17 National squad. When he is not playing football, he is talking about it. Aaron also enjoys singing with En-Harmony. 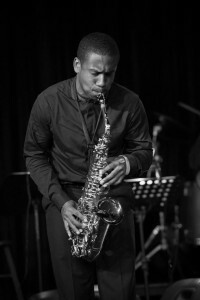 For the last five years he has enjoyed playing the saxophone under the tutelage of Mr. Wendell Shine’ Hayward. Aaron has progressed quickly with the saxophone, passing the Royal School of Music’s (ABRSM) grade 5 theory exams and has successfully completed the grade 8 practical exam with a merit. 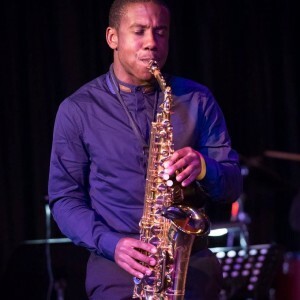 Aaron enjoys playing and has performed at numerous church services in Bermuda, Jamaica, and the United States. He also plays at some rest homes locally. Aaron has also performed at the Cablevision banquet, PLP Founders banquet, PALS luncheon, Lions Clubs’ Seniors Luncheon and with some of Bermuda’s music legends.